“Kabeer” in regular parlance is used to describe something that is great or big physically. You would say “Al-baytu kabeer” (the house is big). 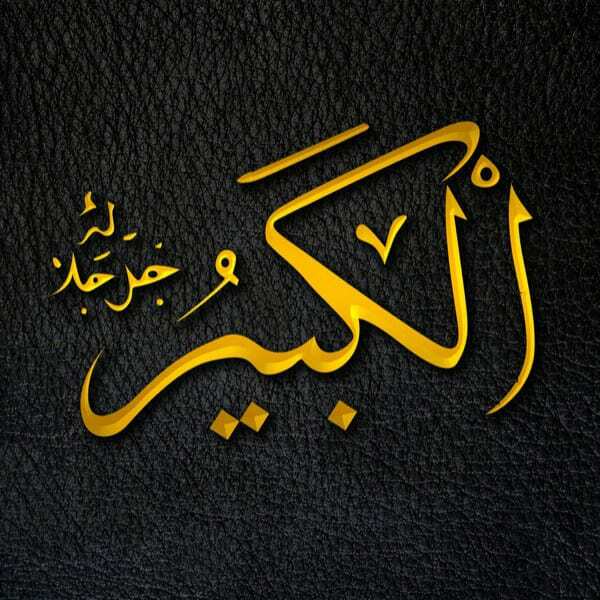 But when it comes to God, Almighty (exalted is He), as Sheikh Ratib an-Nabulsi states, His greatness is in the fact that He “is far Exalted above being confined by a certain place, space or volume; but He is All-Great from the perspective of mental conception.” God says in the Qur’an: “That is because God is the Truth, and that which they call upon other than Him is falsehood, and because God is the Most High, the Grand (Al-Kabeer)” (Qur’an 22:62) Another Name from the same root is Al-Akbar (the One who is Greater). Al-Akbar simply calls us to understand that God is greater than whatever we can imagine. So it is no coincidence that the words used to call us to prayer are “Allahu Akbar“—basically telling us to drop whatever it is we are doing because God is greater. We are told to come to what really gives us success (hayya ala Al-falaah). Allahu Akbar. The Prophet ﷺ (peace be upon him) tells us that one of the most beloved deeds to God is to pray on time. Because we are prioritizing: God is greater. Anything that seems big or great, Allahu Akbar. He is greater. This should fill us with strength and calm. It should remove any fear we have.